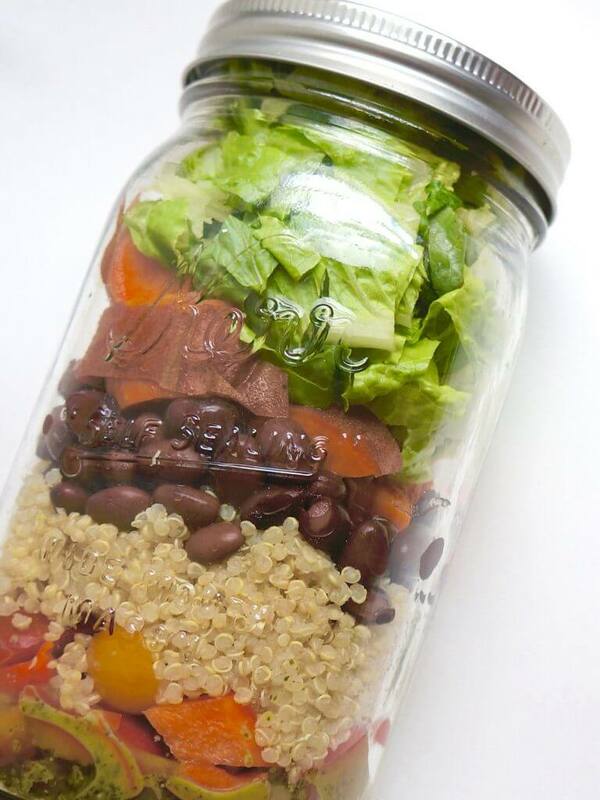 Mason jar meals are not really a novel idea, but they’re not quite mainstream yet either. 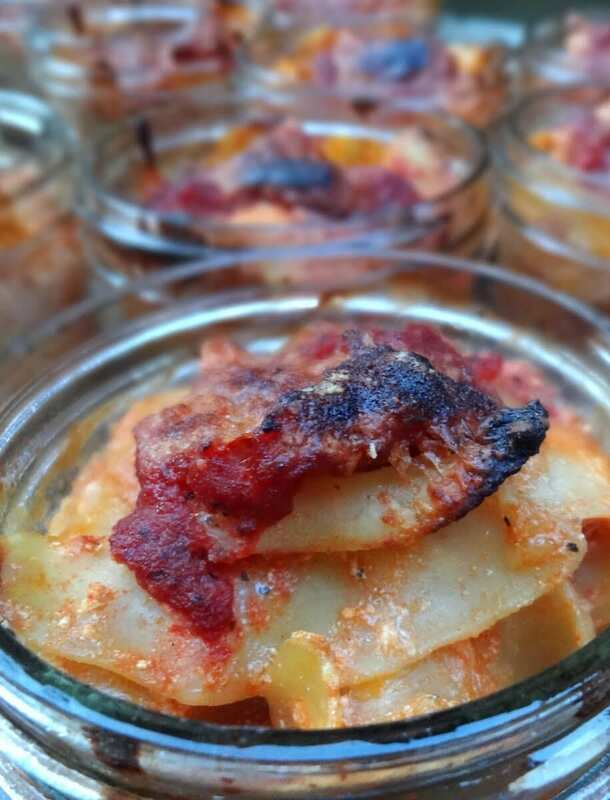 If you do see a mason jar meal, they’ll likely be served at vegetarian, vegan or organic restaurant. For that reason the style is being heavily related to healthy living. Standing out from the norm, it not only has that unique boho vibe, but showcases the food with more depth and finesse, creating art if you will. Traditionally, a mason jar was used to serve certain desserts, never savoury meals. Some may find the whole trend irritatingly hipster, but we think it’s really quite a cute idea. 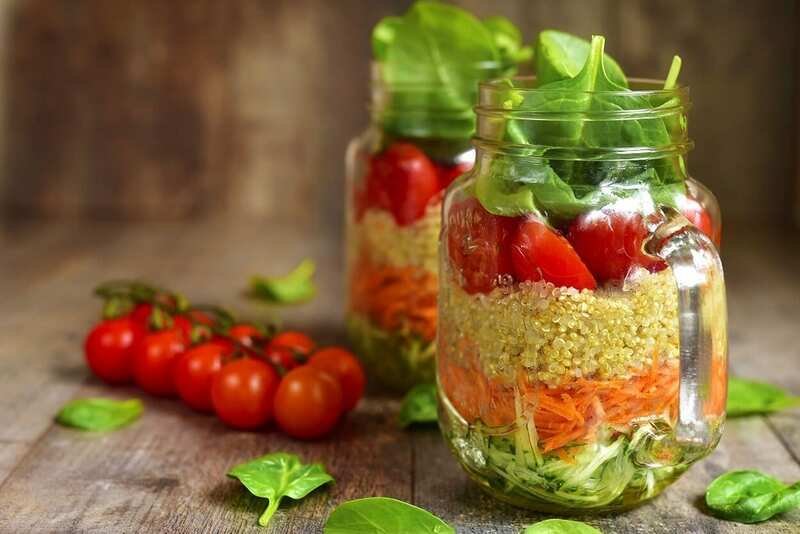 Doing it at home is easy and works well for a scenic picnic, a party or just a pretty and nourishing way to pack yourself some lunch for the day. It’s also a good way to maintain portion control in cases of people struggling with over-eating. From all our combined searching far and wide, we couldn’t choose our top favourites, so here’s a few that we’ve tried and tested and thoroughly enjoyed. 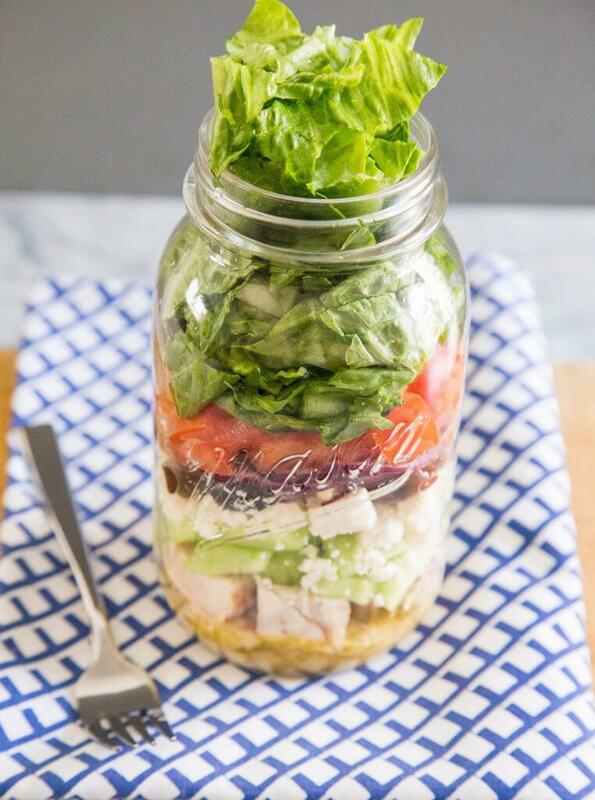 To be frank, we wouldn’t use a mason jar for our daily meals, but some friends we know take them to work every day and it’s a whole lot more nourishing than a sandwich! They have also been a great hit at a house warming party recently. People just couldn’t get enough of them! We also have plenty of jars now for storing other delicious things. Overall, a delightful experiment. If you’re only planning on making 1-2 jar lunches at a time, this is a great way to get exactly what you need, at a fraction of the cost. Whisk together the olive oil, lemon juice, oregano, and a pinch of salt and pepper in the bottom of a quart mason jar. Layer in the olives, artichokes, roasted red bell pepper, chickpeas, onion, feta, tomato, and then lettuce greens to the top. Sushi for lunch just got easier. This deconstructed bowl features all of the healthy favorites: seasoned brown rice, toasted nori, edamame, tofu, and creamy avocado. To save on prep time, purchase pre-baked tofu in the refrigerated produce or deli section of your supermarket. Place the brown rice and ½ cup water in a small saucepan and bring to a boil. Reduce heat to low, cover, and let cook until rice is tender and water is evaporated. While still warm, stir in rice vinegar and soy sauce. Let cool to room temperature. 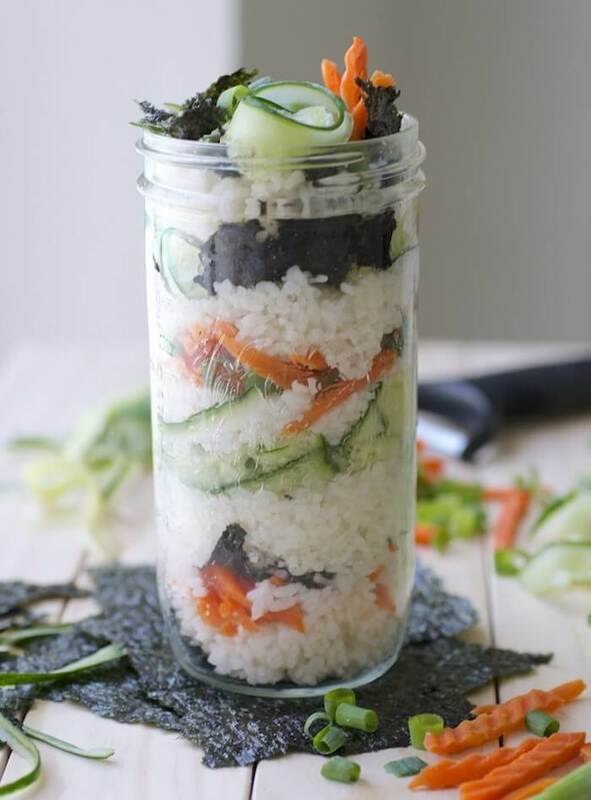 Place half of the nori strips on the bottom of a quart mason jar. Layer with half of the brown rice and press down. Toss diced avocado with lime juice, to prevent browning. Add in half of the shredded carrots, edamame, teriyaki tofu, and cucumber, and press down until packed. Add in the avocado, then repeat with rice, carrots, edamame, tofu, and cucumber. Layer with the rest of the nori sheets, wasabi, ginger, and sesame seeds, if using. Cover and place in the fridge for up to 3-4 days. Enjoy all the flavors of a veggie-packed burrito, without the heavily caloric tortilla wrap. Protein-rich quinoa and seasoned black beans played a starring role in this easy-to-assemble lunch. A serving of avocado offers a variety of vitamins and minerals as well as fibre. Place the garlic clove, avocado, lime juice, water, salt and 1 tbsp. of the olive oil in a small blender and puree until creamy and smooth. Place in the bottom of a quart mason jar. Heat a small, non-stick skillet over medium heat and add the onion, garlic, chili powder, oregano, cayenne, tomatoes and black beans until onion is tender, about 5-8 minutes. Set aside to cool and wipe out the pan. Heat the remaining tablespoon of oil in the same skillet over medium heat. Add the potato cubes, then cook until seared on every side, about 4-5 minutes. When the potatoes are browned, reduce the heat to medium-low then cover with a lid and cook until tender, about 10 minutes. Set aside to cool to room temperature. Layer the filling ingredients into the mason jar in this order on top of the avocado dressing: black bean mixture, sweet potatoes, 1 tbsp. salsa, ¼ cup quinoa, 1 tbsp. pepitas, and ½ cup chopped romaine lettuce. Tighten the lid and place in the fridge for up to 3-4 days. Scoop 1/2 cup oatmeal into each of 5 mason jars (I used 1/2 pint jars). Add 1/2 cup milk, 1 tablespoon chia seeds, 1 tablespoon maple syrup, and 1/4 teaspoon vanilla to each jar. Stir contents of each jar; cover and refrigerate overnight. 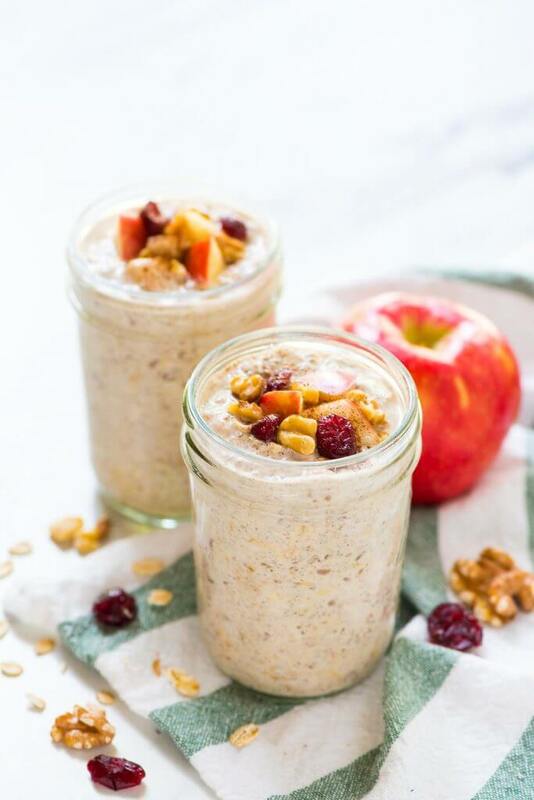 Top each jar with 1/2 cup of fruit and 1 tablespoon of nuts. I filled mine a little over the top and got 6 jars, you could fill them a little less and get 7 or 8. You could even use the 1/2 cup mason jar for a small serving. Preheat oven to 350ºF. Cook pasta in a large pot following package directions. Drain cooked pasta, then return to pot. For cheese sauce, in a medium saucepan melt butter over medium heat. Stir in flour, salt, pepper and nutmeg. Add whipping cream and milk all at once. Cook and stir over medium heat until slightly thickened and bubbly. Stir in cheese, pumpkin, and sage until cheese is melted. Stir cheese sauce into pasta to coat. 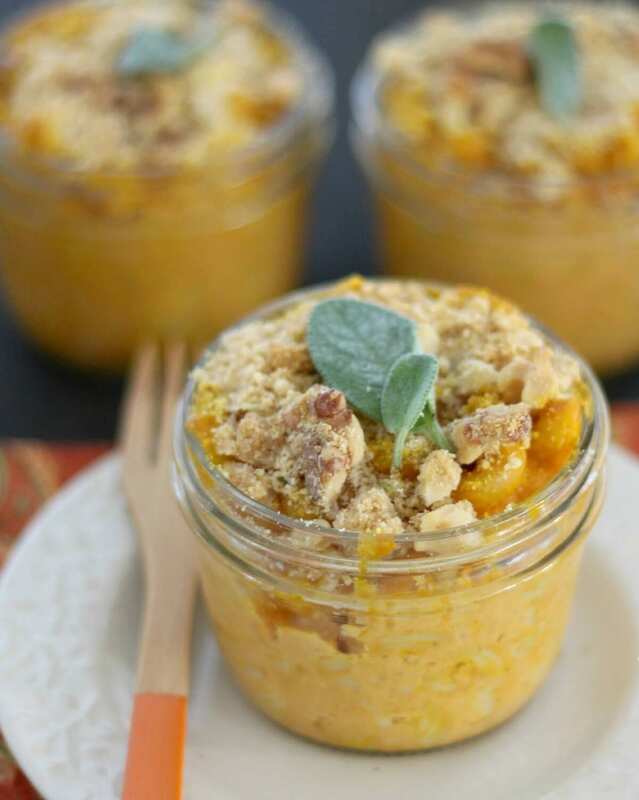 Transfer macaroni and cheese to an ungreased 2-quart rectangular baking dish 0r 6 – 8 one cup ramekins or mason jars. In a small bowl combine bread crumbs, Parmesan, walnuts, and oil; sprinkle over pasta. This is also good with cooked ground beef or sausage thrown in, or even some veggies. This recipe is perfect for an 8-ounce wide-mouth mason jar. Boil noodles according to package directions. Drain and add back to the pot. Mix in 2 cups of sauce. In a bowl mix together ricotta, egg, Parmesan cheese, salt, and mozzarella. Fold cheese mixture gently into the noodles, do not over stir. Place in greased jars or baking dish and top with the remaining sauce, and sprinkle with more Parmesan cheese. Set yourself up for success with our diplomas that are accredited in 26 different countries. Getting qualified at our school is a completely stress-free process and involves no deadlines, no start-up expenses and no need for travel. Since our learning facility is entirely online, it’s up to you to study at a pace and location that best suits your needs.